Remo "Pro Pack" set of Coated Emperor heads - complete pre-packed set of Coated Emperor Heads with an additional Coated Ambassador represents excellent value for money. Remo Emperor Coated Pro Pack 10" 12" 16"
Remo Encore Fusion Plus Propack 22/10/12/16/14 Package includes: 1 x 10" Pinstripe 1 x 12" Pinstripe 1 x 16" Pinstripe 1 x 14" Batter Ambassador, Coated 1 x 22" Powerstroke 3, No Stripe *Specifications subject to change without notice. 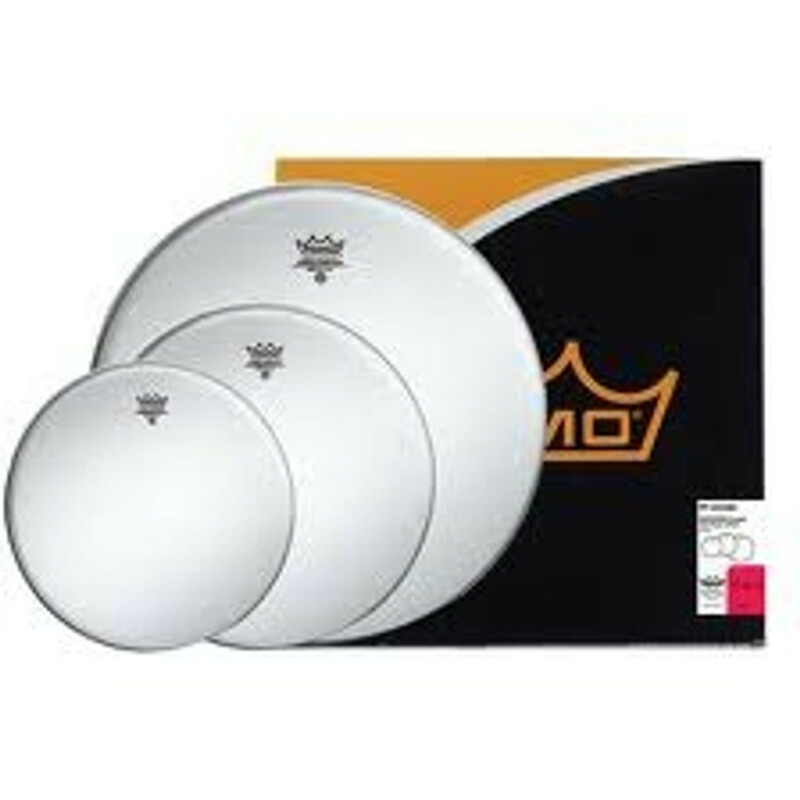 Remo Encore Fusion Tom ProPack 10/12/14 Pinstripe Package includes: 1 x 10" Pinstripe Clear Batter 1 x 12" Pinstripe Clear Batter 1 x 14" Pinstripe Clear Batter *Specifications subject to change without notice.